The organization at present well-known by the name “Shree Hanuman Vyayam Prasarak Mandal, Amravati” founded by the Vaidya Brothers namely Anant Krishna and Ambadas Krishna in the year 1914, as a small gymnastic club was called Hanuman Club. They had two clear objectives, One was to link up the movement of physical education with the National movement of Indian renaissance and the second was to modernize and standardize the traditional Indian system of exercises in such a way that would bring in bold relief the best and knowledgeable elements inherent in it. By 1921 the Indian Freedom Movement was gathering momentum, it also influenced the physical culture. Several HVPM activists plunged into the revolutionary or general mass movement in the individual capacity. The sphere of education was thus linked with the National movement of renaissance and reconstruction. This voluntary social institution established in the form of “Hanuman Club”, very soon got transformed into Shree Hanuman Vyayam Prasarak Mandal by registering it under society’s Registration act in the year 1928. The Mandal had acquired an open land on lease in the premises of “Ekveera Devi” Temple and shifted its centre of activities from the original site of a municipal primary school ground to the new premises. 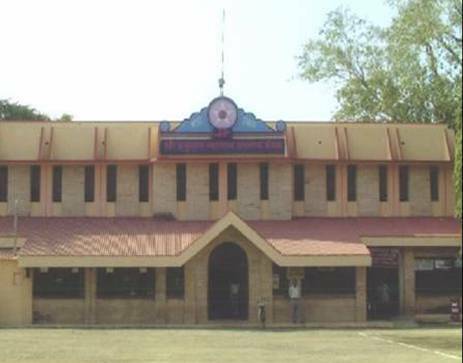 After Independence, to propagate traditional Indian Sports and Yoga, the Mandal concentrated its efforts on the training of teachers in Physical Education and Yoga, and gradually diversified its activities to the field of Ayurvedic medicine, Naturopathy, tribal and school education and Engineering and Technology. Thus, the small club founded by the Vaidya brothers nine decades ago has now grown up to be recognized as national institution which has also earned international reputation. 1. To inculcate love for Physical culture among the citizens specially the youths of the country, irrespective of caste, creed or religion. 2. To adopt ways and means to systematize and popularize the Traditional Indian System of Physical Culture. 3. To undertake Research work in Health, Nutrition, Physical Education and Recreation. 4. To study and adopt Physical Culture activities of other countries as well, and introduce the same, as and when, necessary and suitable for the development of Indian Citizens. 5. To stimulate interest and awareness among the masses about Physical Fitness & Sports.